When is a trackball better than a mouse? Should you switch to a trackball? Should you switch from a mouse to a trackball? 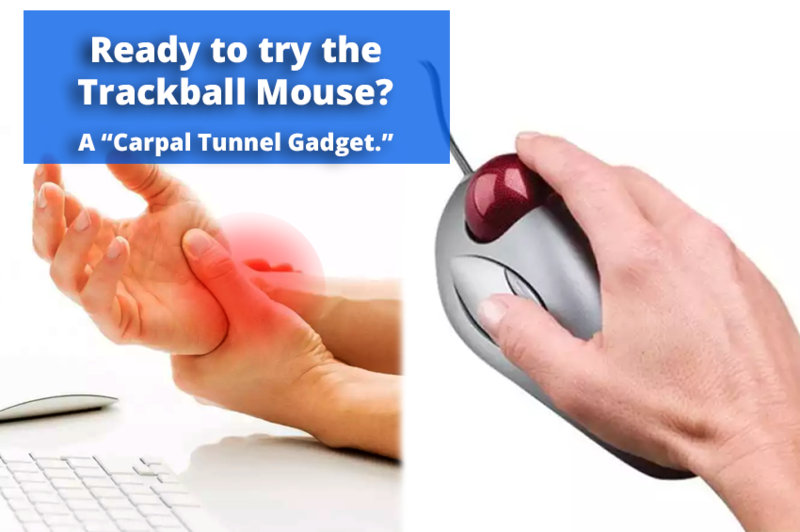 While no tools provide complete protection from carpal tunnel syndrome, the trackball requires much less movement, and is considered by some to be a carpal tunnel gadget. A carpal tunnel gadget is a piece of equipment which may provide relief from the symptoms of carpal tunnel syndrome. A trackball, like a mouse, is a pointing device. Unlike a mouse, it remains stationary and has a ball on its top or side. In addition to the ball, a trackball commonly has one or more buttons that work like mouse buttons. If we recommend a trackball for an employee, the particular model we recommend depends on his/her hand size and the type of work he/she is doing. To change over gradually, keep the mouse available while using a trackball. This will give the employee time to learn how to use the trackball without feeling rushed. For people who are right handed, we sometimes suggest that they use a trackball on the left, with the left hand. It is helpful to know that it is easier to use a trackball on the left than it is to use a mouse on the left. Embrace the health benefits. Moving the ball with the three middle fingers reduces two ergonomics risk factors; static gripping and repetitive wrist movement. Users should commit to using a trackball for two weeks whether they like it or not. Usually, by the end of week two, they are comfortable using it. If you or your employees use the computer for the bulk of the day, you may want to consider switching to the trackball. It will reduce the amount of movement required of the wrist, helping to protect it from wear and tear. For more expert ergonomics advice, Contact SolutionsNW.com and we’ll be happy to help.